Do you know that fasting is now popular because it has many health benefits? In fact, fasting has been practised by traditional healers, long, long time ago.What is fasting? Is fasting healthy? What are the health benefits on fasting? Well, fasting is a process of abstaining oneself from food and drink for an extended period of time. As a matter of fact, fasting has been used as one of the oldest therapies in medicine to help with chronic conditions including allergies, diabetes, heart disease and high cholesterol (under a doctor’s recommendation and supervision). These are some of the many health benefits on fasting. It is not surprising to learn that fasting is recognised as a therapeutic and preventive measure for the many illnesses or diseases that exist today. Most of these diseases are the results of our unhealthy eating and lifestyle habits. 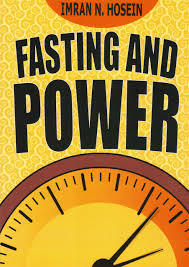 Many have actually experienced the secret healing power of fasting. Some see fasting as a form of detoxification from overeating. Detoxification is a process of eliminating toxins from the body. Through fasting excess mucus and congestions are cleared from the body, hence revitalising the body’s natural functions and healing capabalities. In other words, fasting improves the process of elimination of toxins from the body. It also increases the release of toxins from the colon, kidneys and bladder, lungs, respiratory tract, sinuses and many more. Scientists have confirmed that fasting is the best cure for the accumulation of poisons as it helps with the cleansing of the cells from these poisons. 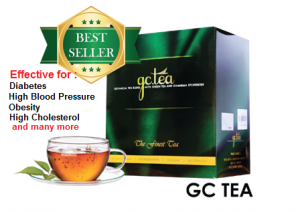 Hence, the increase in the activity of our cells protect and heal us from many diseases. It is our normal practice to eat and drink during the day, thus staying away from food and drink during the fasting day allows the digestive system to rest. There is no doubt that the process of digesting the food drains a lot of energy. Therefore, with fasting, the work load of the digestive organs, the intestines, stomach, liver, gallbladder, pancreas, and kidney are minimised. This enables the organs to be repaired and restored. Not only does fasting clear the existing toxins, but it also cleans up the circulating blood and lymph. Besides that, through fasting, the energy that is used for the digestive process is directed and focused towards enhancing our health and vitality. Fasting also contributes to sharpening the functions of the mind. New scientific studies confirm that healthy nutrition and fasting stimulate the brain and help protect it from dementia. Eating dates and vegetables after breaking fast reduces the possibility of developing dementia or diseases of the brain. Furthermore, scientists also confirmed that fasting plays a vital role in activating the brain cells to make it work more effectively. Do you know that fasting strengthen our immune system? Physicians have assured us that fasting increases the resistance power of our body against all diseases. 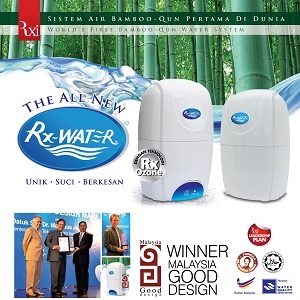 It guards our body from many viruses and harmful bacteria and it is acknowledged as one of the reasons behind longevity. If you are having problems with obesity, then it is recommended to practise fasting as it helps to dissolve the body fats and organise the body hormones to shape a perfect body. Medical experts further assure us that fasting is the easiest way to treat obesity. What about tumour or cancer cells? How does fasting help? Well, according to medical experts, fasting reprogrammed our cells. With frequent fasting, the growth of tumour or cancer cells is broken down. In fact, constant fasting enhances the performance of the entire body which decreases the probability of developing cancer. Another important fact about fasting is that it helps to cure back pain, neck pain and backbone pain. In fact a new study confirmed that fasting is a successful treatment for joint pains if a patient fasts continuously for a month. It’s amazing to know that many scientists have discovered that fasting is in fact an operation without surgery as fasting cures kidney stones, gallbladder stones, malignant tumours and liver problems. Many researches even bravely confessed, fasting succeeded in many difficult cases where surgery failed. Finally, if you are already on the fasting journey, keep it up! If you’re a starter, do it slowly. Start fasting for short hours and upgrade yourself gradually. Fasting needs training. For those onlookers, come join this fantastic health journey. Our body deserves its due cares. Experience for yourself the health benefits on fasting! I have never fasted, but have been thinking about trying it, and after reading this I think I will give it a shot. What is best, to fast during the days I have to do a lot of physical work, or during the days I am off from work and can relax more? Now I am waiting for you to post an article about how to do a fast. I personally think it is best to fast when off work. It is also important to note that if you intend to do a long fast,first three days are most difficult. It is great to fast. However, as you have never done fasting before, it’s good for you to go through some trainings. I started fasting at the age of six. I started on a half day fast and gradually upgraded to full day. A full day fast is from dawn to dusk. That’s about 13 hrs. We don’t fast 24 hrs round the clock. But we totally abstain ourselves from food and drink during that 13 hr period. As a starter, it’s advisable that you start on your off days. 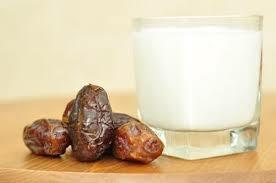 Do not fast during your menstrual days and besides food and drink, one should also abstain from sexual activities. Nice to know that fasting is nothing new to you. The only difference is that we might do it differently. I started fasting at the age of six. From a half day fast, gradually upgraded to full day. But of course we don’t fast 24 hrs round the clock. A full day fast is from dawn to dusk, approximately 13 hrs. During this 13 hr period, we totally abstain ourselves from food and drink. We do not fast during our menstrual period and apart from food and drink, one should also abstain from any sexual activities. We do a one month compulsory fasting during the holy month. But of course children below puberty age, old people, sick people, pregnant women, travellers, breastfeeding mum, they are excused. For me, during my pregnancy and breastfeeding period, I did well with fasting and till now we all have high immune system and we enjoy other fasting benefits. Well, outside this one month compulsory fasting, we practised 2 days fasting (Monday and Thursday), the same from dawn to dusk. But of course, this 2 days per week fasting is optional. We try to fast at least 3 days in a month. As these are optionals, we do fail sometimes to upkeep this practice. So I should say we are lucky to have that one month compulsory fasting. Well I hope this sharing of information enlighten you with our version of fasting. Thanks for your interest and looking forward to share more. Take care and stay healthy. Hi Norleila, All the signs seem to be telling me to try this. What I mean by that is, at work, there was a lot of talk about a diet called the 5:2 diet which includes a type of fasting for two days each week. When I got home there was a leaflet in my door about fasting for a healthier life and now I have read your post. So I will find out more about what fasting entails and try it for myself, as that appears to be the direction I am being steered in. I believe you have never tried fasting. Well as a starter don’t go hard on yourself. Always develop gradual upgrading. You need constant training to be successful. I started fasting at the age of six. From a half day fast to full day fast. Full day fast is from dawn to dusk about 13 hrs. During this period, we abstain ourselves totally from food and drink and any sexual activity. We don’t fast during our menstrual period. We make sure that we are physically and mentally fit before we jump onto the wagon. Hope this help. Take care and stay healthy. Thanks for information. All bodies are different as they have various capacity to survive with juices or just water. I tried to by on apple’s diet for five days. Can I call it fasting? There are many versions of fasting out there. I would share my practice with you here. I started fasting as early as 6 years old from a half day fast. A full day fasting is from dawn to dusk about 13 hours. During this fasting period, we abstain ourselves totally from food, drink and any sexual activity. We do not fast on our menses days. We have to make sure that we are physically and mentally fit before we embark on fasting. If you’re new to fasting, do not be too hard on yourself. Start gradually. All the best. Hope this helps. My late husband was Jewish and so we both fasted on the Day of Atonement each year. But since his passing I have not fasted. I will discuss this with my doctor and follow his recommendations. I think that fasting (without eating and drinking) would be dangerous if it’s done for longer than one day. We can only survive for a short time without water. However, drinking water could make all the difference and perhaps we could fast for a longer period. My health could use a boost so I will definitely take this into consideration. You are right, fasting without food and drink for longer than one day would be dangerous. There are many versions of fasting out there. I’ve been fasting since the age of six. I started with a half day fast and gradually upgraded to full day. A full day fast starts from dawn till dusk. That’s about 13 hours. We do not fast 24 hours round the clock. During this 13 hour period we strictly abstain ourselves from food and drink. All sexual activities are also forbidden. Women do not fast during their menstrual days. We practise a one month compulsory fasting during the holy month. Outside the holy month, fasting is optional and we normally do a 2 day per week fasting (Monday and Thursday) from dawn to dusk. Some called this 2 day fasting as intermittent fasting. As our digestive system works hard during most of the day, thus we fast during the day so that our organs can rest or at least minimize the work loads. Hope this helps. Take care and have a healthy day! I’ve often heard that fasting is great for the body and mind, but never understood how. I’m the type of person who gets cranky if I don’t eat. But I have to say that after reading your article and what the doctors are saying. I’ll have to look into this further and give it a try. Many have actually benefited from the practice of fasting. But fasting needs training. For a start, it would be advisable to fast for a short period and gradually upgrade to full day. A full day fast is from dawn to dusk. That’s about 13 hours. We don’t fast 24 hours round the clock. But we totally abstain ourselves from food and drink. Women do not fast during menstrual days. Hope this help. Have a healthy day. Thanks Bob. Really appreciate your visit and am glad could share. Just thought I would like to confirm what you are saying…..I have been practicing “intermittent fasting” for the last two years and this, combined with moderate excersise has become a “life style”. The health benefits are real and and I have, for example, lost 15 Kgs, and continue to keep it off. Also my thinking is clearer and my immune sytem is robust, among other things. For me the biggest attraction to this lifestyle is that it is supported by solid scientific research, unlike the myriad of ‘fad” diets out there! Like your website by the way! Strength to you your arms! Hey Arthur, I see you’re doing great with fasting. Keep up the good practice. Wishing you the best of health. Take care! Glad I could share this knowledge with you. I would look into the matter of your request. As for frequent fasting, It refers to straight day fasting like a continuous one week. For me, I do a frequent fasting of one whole month during our holy month. This is compulsory. Besides that we are encouraged to practise a regular fasting every Monday and Thursday. But this is optional. It’s been a health booster for me and I really appreciate the one month fasting because as human being when it comes to optional, we tend to be lazy. Thanks for your kind visit and constructive insights, Donna. Looking forward to share more in the coming future. Take care and be well! 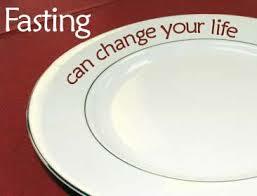 In this day and age many people are thinking towards fasting. Here you can actually come and get advice and information about fasting. This is a much needed site with much needed information- Thanks for creating! I’m glad that I could share this information. Health is precious. We should do our part to take care of our health. Thanks for your visit. Take care and be well. Great article Norella, so much wonderful information. Well researched and presented. I learned a lot. I’ve fasted several times over the years and a couple of times this year already. I don’t do it for weight loss I do it more to get in touch with my body. To learn what true hunger feels like, rather than when I’m ready to eat again. When your stomach rumbles that’s not actually a sign to eat again. We look at the wrong things as food. Our portion size is way out of wack. We make very bad choices and then wonder why we don’t feel well. I think regular fasts is a great way to get back in touch. It’s good to know that you’ve been practising regular fasting. In whatever we do, we need discipline and I believe you’re doing well with that. You’re right, we’ve been eating junk food most of the time. It’s high time we correct our lifestyle habits. Thanks for your visit and insights. Take care and stay healthy. It’s great to know that you are fasting regularly. Our body needs its due cares and there are just too many health benefits on fasting. Thank you for sharing your insights. Do come back for more updates. Really interesting post about fasting. I think it is a great idea for all the reasons you mentioned. The body does need a break every so often, which is why on Saturdays I give my system a break by eating little. I will now consider fasting altogether, but will still continue to drink water as I feel it is necessary to help flush out any toxins, and rejuvenate the cells. It’s true, there are just too many health benefits on fasting. If you haven’t done it before, start slowly. Fasting needs training. I started fasting at the age of six. From a half day fasting, gradually upgraded to full day. A full day fasting starts from dawn till dusk. That’s about 13 hours. We don’t fast 24 hours round the clock. But we abstained totally from food and drink. Usually, prior to fasting, around 5 am, I’ll take 7 pieces of dates, a glass of milk, plenty of water (500 ml filtered water, 500 ml honeyed water) and my regular 5 ml black seed oil. That will keep me going from about 6 am to 7.20 pm. We observed a compulsory one month fasting on the holy month. Other than that, we practised a 2 day optional fasting ( Monday and Thursday). We are very grateful for the many health benefits on fasting. I’m very glad that I could share this health practice with you. Again, if you wish to fast, as a starter, do it gradually. Looking forward to share more updates. Thanks for visiting Ben. Great site and post about fasting, will keep in touch with your site. 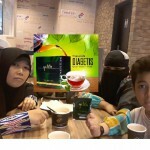 Thank you for visiting my “Health benefits on fasting”. I’m glad I could share this informative post with you. It is our responsibility to take care and maintain our health. Fasting is one way of reaping health benefits. Hi Norleila – this is a very interesting article. I am interested in trying fasting for myself and you have given me great encouragement! Hi Lorna, glad I could share with you the health benefits on fasting. If you’re a beginner, do not be too hard on yourself. Start slowly and upgrade gradually. Fasting needs training. I started fasting when I was 6 years old. From fasting half a day, I eventually completed full day. A full day fasting begins from dawn till dusk. That’s about 13 hours. We do not fast 24 hours round the clock. But we abstained from food and drink totally. It’s definitely a good practice, seeing the benefits we have reaped. Thanks for your presence here, Lorna. I will do more studies and research on health issues and share them here. Take care! Quite interesting blog post about fasting, I’m changing my life style, to get healtier, I would like to read more about this topic. There are many health benefits on fasting. There is also many versions of fasting out there. I started fasting at the age of six from a half day to full day fasting. A full day fasting is about 13 hours from dawn till dusk. We have to abstain ourselves from food and drink during this period. yourself because fasting needs training. As you get accustomed to fasting, you may upgrade gradually to full fasting. Hope this helps. Take care and stay healthy! Fasting is something that has been a part of my life for some time! I do different kinds at different times for different reasons. Right now I am on a Daniel fast. I have found fasting to be a great blessing to my spirit, soul and body. I really enjoyed your article and I appreciate that you are spreading the word of this truth so others can benefit from your knowledge! Glad to hear that you’ve been enjoying the health benefits on fasting. Keep up the good practice. I hope many would jump onto this fasting wagon and enjoy the health benefits too. Thanks for your constructive insights. Take care and stay well. Thank you very much for yr wonderful “mygohealthy” website. Definitely you have written a resourceful article … and I also did not know that fasting is an operation without surgery against kidney stones, gallbladder stones, malignant tumours and liver problems, are you sure? If it is, what can I say? I am simply blown away!! Thank you for your kind remarks. There are just too many health benefits on fasting. Hope you pick it up again and continue to reap the fruits of fasting. Do take care of your precious health. Stay healthy and be well. Hey Norleila, I fast daily 16 hours a day. My fast usually starts at 9 p.m. and ends at 1 p.m., but I do drink water during this time period. It has been great for my mind and body, I am physically stronger, have lost weight, gained muscle, and I think a lot clearer. I can’t say enough great things about fasting. Great article. Glad to hear that you’re benefiting from your fast. Keep up the good practice. Health is precious. Once it’s gone, it takes great pain to regain. Its been awhile since I have fasted. I usually will fast about 16 hours from early evening until noon the next day. Since I work at the bedside, I think I have been picking up bugs/viruses from the environment. So, detoxing would be great for my mood and energy level. You wrote that fasting will get rid of excess mucous and congestion in the body. All good! Every time I come to your website, I learn something or get reminded of something I know. There are just too many health benefits on fasting. Glad to know that fasting is nothing new to you. I could see that we are practising at different timing. I fast from dawn to dusk about 13 hours. It really gives my digestive system a break because that’s the usual daily busy time. Thanks for your visit. Hope to share more informative articles in the near future. I just was reading your site about fasting. I have fasted a few times throughout the years, but I am still not sure if it such a good idea. I have heard that not eating or drinking can really mess up your metabolism. Have you heard anything about this? From the different comments above, I don’t see anyone mentioning it. Can you answer this for me or is it just hype? Thanks for your interest in my ‘health benefits on fasting’. There are definitely many health benefits to be gained through fasting. I wouldn’t worry about metabolism if we uphold the correct practice. For one, we shouldn’t indulge in food when we break our fast but eat moderately. Hopefully through fasting we would be able to curb our unnecessary eating. Hope this helps. Thanks again for your contribution. Do comeback for more updates.